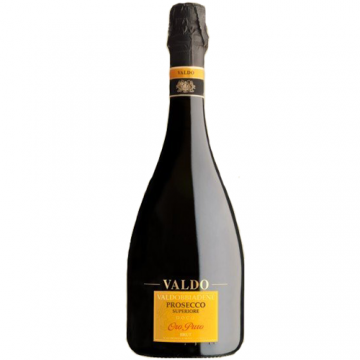 Oro Puro Prosecco is of superior quality, as it comes from a specially defined inner hilly region in the DOCG area of Valdobbiadene, North-East of Venice. Less fruit per vine gives more intensity and complexity whilst retaining all the delicious aromatic and fruity charm one expects from this world-famous sparkling wine. Ideal as an aperitif, especially with prosciutto ham on breadsticks, a great match for light pasta, vegetarian, fish and shellfish dishes and a perfect sparkling wine for any occasion.